A fun playground resource for educating mathematics outdoors. 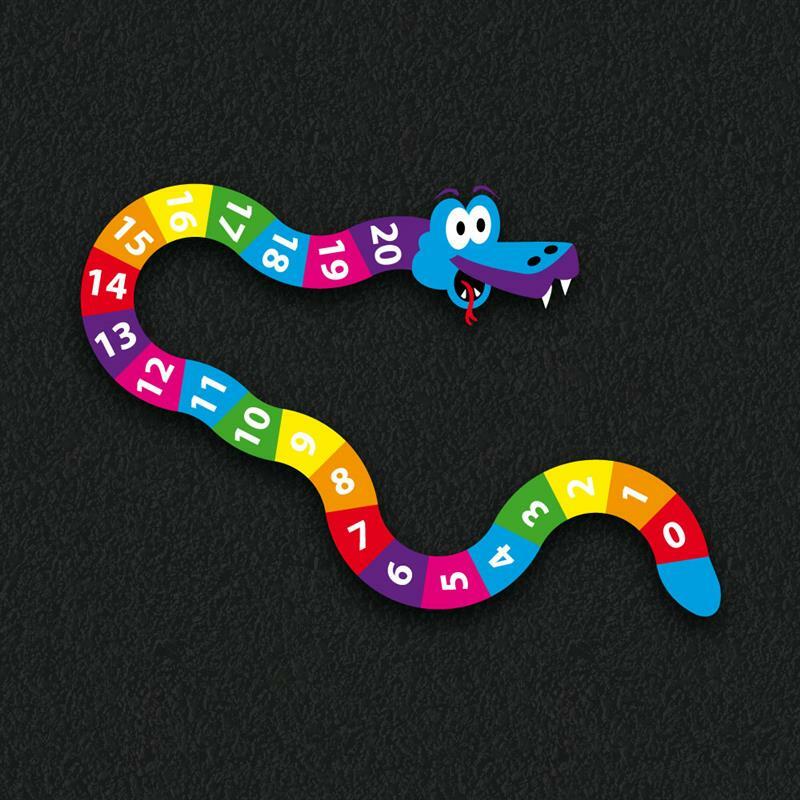 Early Years children will use the 0-20 Snake as a focal point for outdoor games which will naturally develop their number recognition. Teachers can take advantage of this colourful playground marking to give children a wider understanding of counting, division and multiplication.